Magnesium Depletion Drug Side Effects can be Deadly. 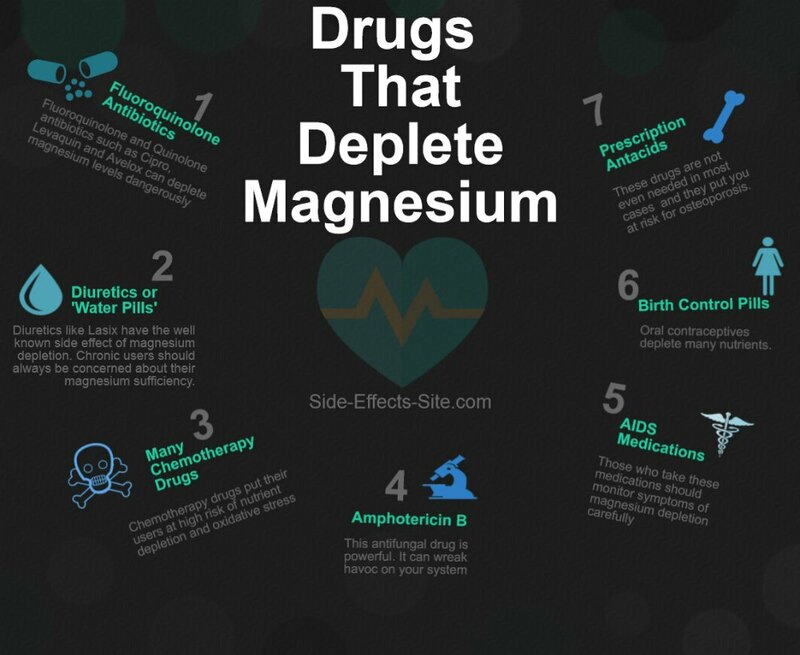 Magnesium Depletion is a side effect of some drugs and supplements that can have deadly consequences. 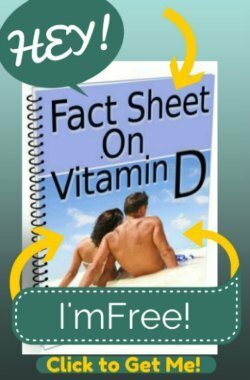 Magnesium deficiency occurs when magnesium is lost because of the effects of the drug. Some drugs, like diuretics- also called 'water pills', simply cause magnesium deficiency due to the excess urine that they produce. While taking magnesium is an option, and should be recommended far more often by doctors, for those who take diuretics, - taking magnesium when taking other drugs may not even be an option. 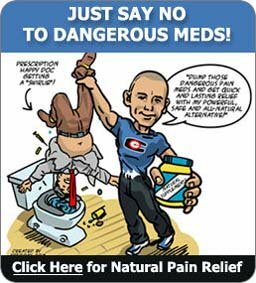 Drugs like the Quinolone Antibiotics are inactivated by magnesium, despite the fact that they effectively BIND the magnesium in your body, leading to magnesium deficiency by a process called Magnesium Chelation. This effect can be enhanced when any number of Quinolone and Levaquin Drug Interactions, such as the commonly prescribed Levaquin and Prednisone are taken together. Either of these processes has the same effect- magnesium depletion leading to Signs of Magnesium Deficiency that can be extremely uncomfortable and even permanently damaging. Many of the dangerous side effects of these drugs are a result of these magnesium losses. One of the most dangerous is a condition called Prolonged QT Interval which can cause heart rhythm disturbances and even lead to sudden death. Other effects from magnesium deficiency are the Signs of Magnesium Deficiency that are simply EVERYWHERE when you know what to look for. 'Subclinical' magnesium deficiency is a huge problem that causes mild to severe chronic health problems. These are rarely recognized because standard laboratory blood Magnesium Level testing is completely inaccurate and unable to detect most magnesium deficiencies. Additionally, it's common to have a 'relative' magnesium deficiency from Calcium Side Effects, a common problem in western countries, where the overall amount of magnesium is probably adequate, but an excess of calcium creates magnesium deficiency symptoms. Ideally, you would stay away from these drugs in the first place if possible. The majority of drugs, like diuretics, that cause Magnesium Depletion also tend to cause electrolyte losses of potassium, sodium and other trace minerals that can be problematic in the short run AND the long run. Other drugs, like the Quinolone Antibiotics, have other toxic Side Effects that can even lead to permanent disability. If you can't avoid taking these drugs, for MOST of these drugs, you can take magnesium with them following the guidelines on the Magnesium Dosage page. But be sure to check with your doctor or pharmacist because taking Magnesium with Quinolone Antibiotics will inactivate them and cause them not to work.